Close Portrait Of White Furry Cat In Fashion Sunglasses. Studio Photo. Luxurious Domestic Kitty In Glasses Poses On Pink Background Wall. Copy Space. Foto Royalty Free, Gravuras, Imagens E Banco De Fotografias. Image 113058772. 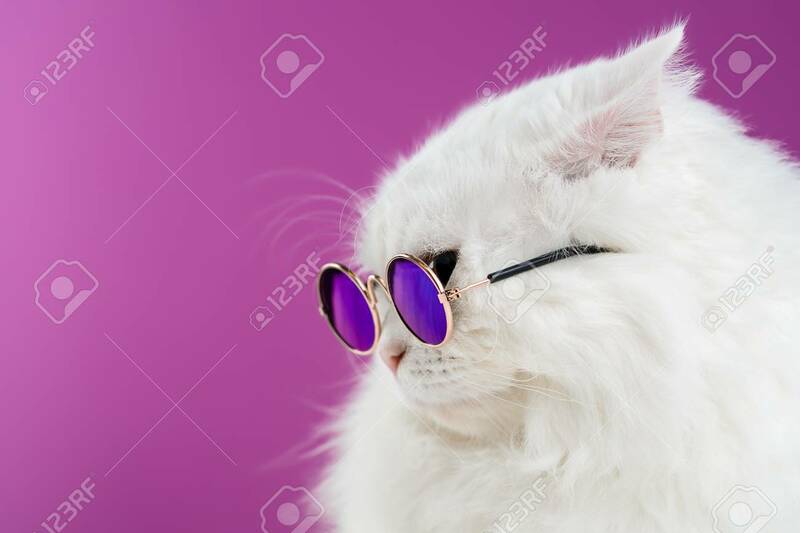 Banco de Imagens - Close portrait of white furry cat in fashion sunglasses. Studio photo. Luxurious domestic kitty in glasses poses on pink background wall. Copy space. Close portrait of white furry cat in fashion sunglasses. Studio photo. Luxurious domestic kitty in glasses poses on pink background wall. Copy space.